February 14th is the Valentine’s day which is one of the important day for almost everyone . 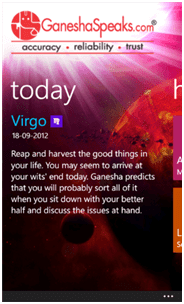 If you are using Windows Phone , then here are couple of cool apps to try specially for the Committed Couples. Do you want to make this Valentine’s day really special ? Windows Phone 8 has an answer for you. 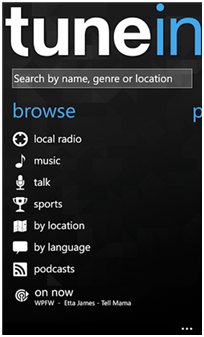 Just Open up the Windows Phone store on your Windows Phone 8 download the below apps and plan your Valentine’s day well. 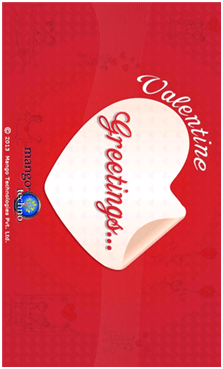 An Valentine Greetings App specially for the Indian Users . This app lets the users to print and post it directly to to yout list of recipients for free (limited time) . Spend more time with your loved one’s by taking her/him to a movie . 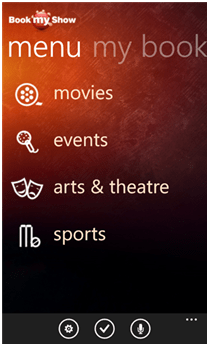 Use the App “BookMyShow” to buy tickets for your favorite movie . How can a valentine’s day end without shopping ? 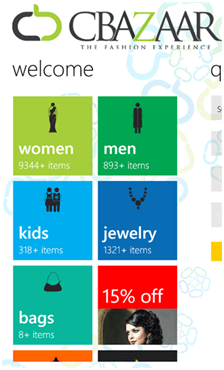 Get ready to do some shopping with the cBazaar on Windows Phone 8. 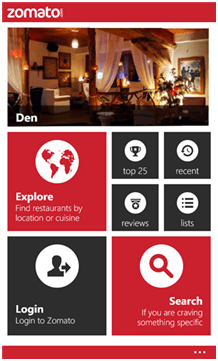 Use the Zomato App on your Windows Phone to find out your favorite restaurant and have some food . Download Ganeshaspeaks from Windows Phone Store.